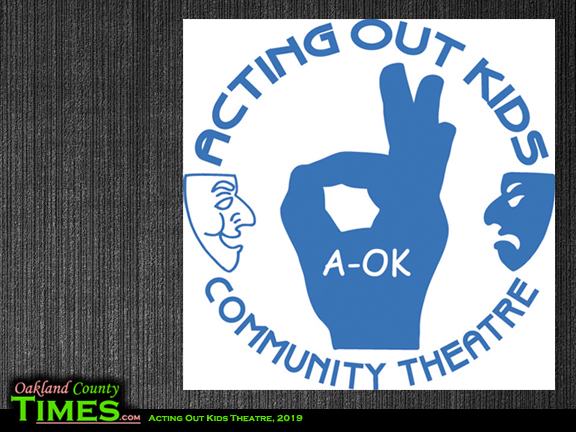 Clawson, MI – Acting Out Kids Community Theatre (AOK) is an inclusive, youth-centered performing arts theatre and production studio dedicated to developing talents and confidence. Acting Out Kids Community Theatre offers plays, murder mystery dinner theatre productions, films, YouTube and local cable TV shows, classes (for kids ages 3-18), workshops, camps, field trips, community events and social events. Kids have an opportunity to build their confidence and develop skills such as acting, improv, public speaking, leadership, taking initiative, working as a team, mentoring their peers, being creative, and so much more! Acting Out Kids Community Theatre offers a casual, friendly and noncompetitive environment where kids are encouraged to be kids and to use their imaginations and most importantly, to have fun! Whether it’s leading a game at a drop-in event, assisting with a class, helping to run a production, or performing and volunteering at a community event, kids are provided with opportunities for lots of hands-on experiences. At Acting Out Kids Community Theatre, kids participate in fun and interactive games, skits and productions that will help to develop their interests and skills and also allow them to express their own creativity. Through these activities, kids will learn real life skills such as public speaking, social interaction, building confidence, taking initiative, expressing ideas, being creative and working together as a team. Kids will have opportunities that allow them to explore their creative side, make new friends, improve confidence, and make public speaking less overwhelming. At Acting Out Kids Community Theatre, community involvement is a big component of our theatre. We believe that we should give back to the community and that kids and community should work together. We provide numerous opportunities for kids to become engaged in the community. We volunteer and perform at a variety of community events on a regular basis and we also collect items to donate to a variety of charities. Kids are always welcome to participate in the community events or to donate an item for one of the charities, but it is never required. 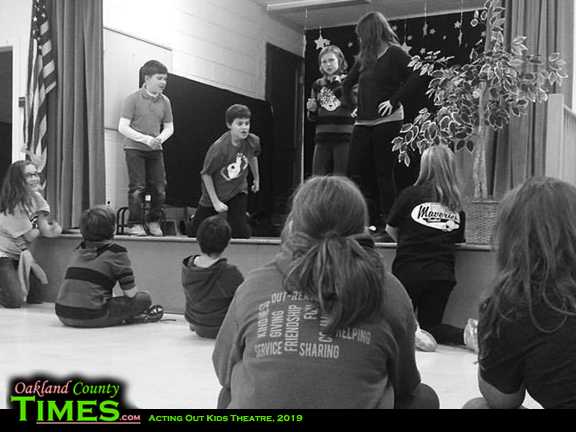 Acting Out Kids Community Theatre is based in Clawson, but a variety of classes, workshops, camps and events are also offered in several different locations including Troy, Royal Oak, Huntington Woods, Bloomfield Hills, and Berkley. 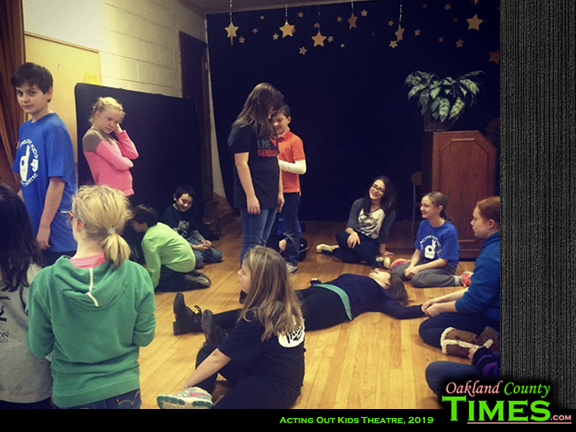 For more information about Acting Out Kids Community Theatre, please feel free to visit our website at aoktheatre.org, check us out on Facebook, Twitter, Instagram and YouTube under Acting Out Kids Community Theatre, or contact us anytime at actingoutkids@yahoo.com.